The outcome for me was the realisation that few people know as much about comedy writing than this man. In fact, Tim Ferguson, I would go so far as to say, might just be the best expert in the country on this topic of narrative comedy, so elusive to many writers, and yet, appreciated by every single one of us as consumers of the hilarious. I personally believe that to this day, Stephen King’s book “On Writing” is perhaps still the best book around for any aspiring writer on the art and craft of writing, and now I will reiterate my earlier statement to add to that notion: Tim Ferguson is the best authority (in Australia at least), on writing comedy in my opinion. At the end of this intensive Masterclass, I would equally venture to say, that many of my classmates would agree with me. I now look forward to reading Tim’s book: “The Cheeky Monkey”, which must elucidate and extend what we learnt on the course by default, and will, of course, report back and possibly write a review on it, when I have done so. Over the weekend, intensive comedy writing course we learned about the science of comedy and much of the material was drawn from age-old theories from ancient sources; in fact, Aristotle got a Guernsey many times, and with very good reason. We talked much about “story” (my favourite obsession, as many of you, would know already know) and what resonated with me most, was also something Graeme Simsion had said in his interview for Aussie Writers at one of my writing festivals a couple of years ago. “You have to make them laugh, make them cry, make them feel and make them think.” Well, Tim put a spin on this (as he does so effortlessly), with his four elements of story, in which he included: make them laugh, cry, think and make them horny”! I also recalled that Graeme had attended one of Tim’s courses when he was writing the screenplay that ended up being the great Australian novel called “The Rosie Project”! (if you haven’t got it, you simply must read it!) He spoke glowingly of Tim, and now I know why. We learnt about the ‘Uber Principles’ of comedy. We learned that comedy operates with the truth, not fanciful fiction. In fact, it examines human behaviour to highlight what is known, and also often reflects broader social concerns. And along with its sister, ‘drama’, it distils complexities and makes the simple, complex. It uses metaphors to highlight aspects of situations or themes. And above all, comedy provokes laughter through affinity, anxiety, and surprise. Tim so eloquently pointed out that there are (in particular), three top forms of comedy that we encounter, regularly on our screens today, and all are about something altogether different. Domestic comedy, first of all, is all about human relationships, whereas farce (especially classic farce), is all about human behaviour (think Basil Fawlty here and his extreme, absurd behaviour), and satire is more about society. Tim identified a variety of techniques, and we had some fun reconstructing scenes of our own in groups – it gave us a sense of what enjoyment writers in a team might experience – and the absolute joy shared when your writing gets the laughs. It introduced us to that adrenalin rush that comedy writing can give you. Something else that Tim did extraordinarily well over the course of the weekend was planting the seed of hope; he reiterated throughout the course, that there is an abundance of opportunity out there in Australia for comedy writers, right now – especially good ones! There have not been so very many outlets available before, and in fact, there are so few (good) comedy writers, that competition is low and Tim wants us all to get into it! For my readers, many of whom are writers, this is excellent news! Of course, we worked on the hero’s journey (as you always do with “story”), starting with the premise, then character creation, (which was so much fun), and finally, putting our characters through tricky situations. Tim also gave the participants some great tips on pitching their ideas to producers. These were so very practical and useful. After all, we all know as writers, that it’s one thing to write, but a whole other thing altogether to get your writing out there, have it read by influencers, and then get a gig that actually pays you for it. He shared his own journey and experiences with this, and we got a first-hand look at his new movie coming out on September 15th, called “Spin Out” (which I for one, can’t wait to see). There is much research on the fact that laughter is good for you and according to an Australian charity, The Humour Foundation, who established “Clown Doctors”, there is much to support this notion. Besides, we don’t even need any research to tell us that laughter is good for us. We know it in our hearts (or bellies) already. Nevertheless, Tim also shared with us the biological processes necessary for laughter to occur and especially focused on the fact that it is involuntary. We can’t help but laugh sometimes and don’t you remember in school (I do) when you got the giggles at the most inappropriate and inopportune moments, and just couldn’t stop yourself. My years of teaching teenagers in a past life also taught me that it’s still a “thing”! But it pains me to think I wrote a chapter on humour for a high school textbook for the new national curriculum in 2011, (through Cambridge University Press), and I had not done Tim Ferguson’s Masterclass yet! Nor had I read his book, “The Cheeky Monkey” (which I will certainly do now). So, what is my overall evaluation of Tim’s course? 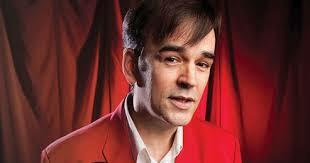 I repeat my earlier comment: Tim Ferguson is to writing comedy, as important as Stephen King is, on writing in general. I urge all writers (at the very least) to read Tim’s book and if you get lucky enough, to do his Masterclass! Thank you, Tim Ferguson, for giving back of your art and making a difference to so many.